Prepare chimichurri according to recipe linked above- this can be done in advance and will taste even better if it sits overnight! 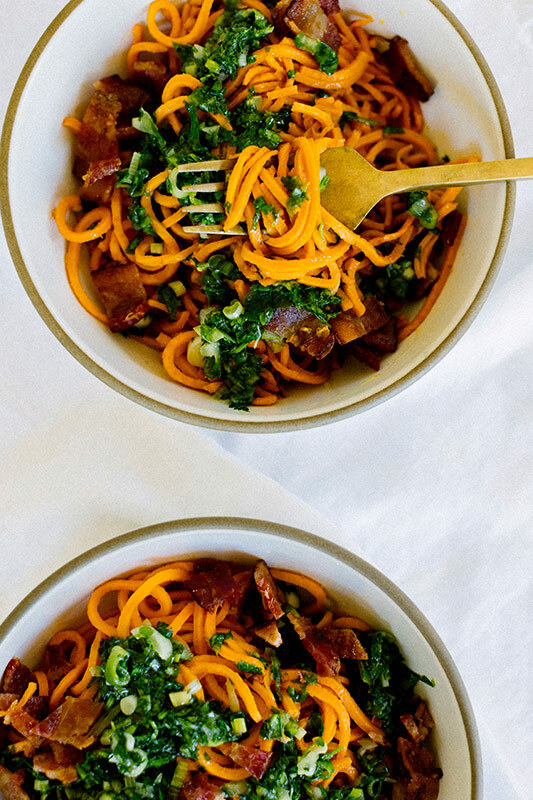 Use a spiralizer or veggie noodle making on the spaghetti setting to create a large bowl of noodles with the sweet potato. Line a baking sheet with parchment paper and lay bacon strips on it. Heat a tablespoon of avocado oil in a pan, add noodles and saute´, stirring frequently, until soft. 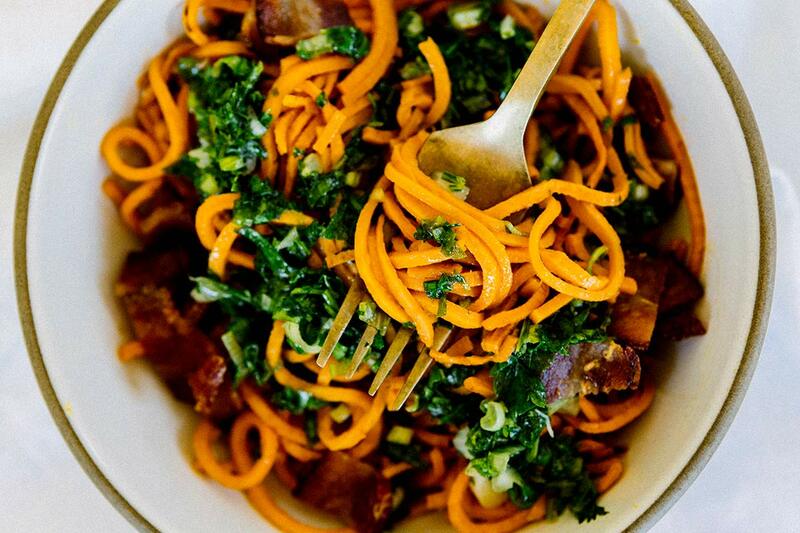 Add noodles to serving bowls, chop bacon and mix in, and finish with a few generous spoonfuls of chimichurri a sprinkle of maldon salt. Enjoy! Oh dear, that looks amazing! I love chimichurri on steak, haven’t thought about serving it with roasted sweet potatoes. Love it. 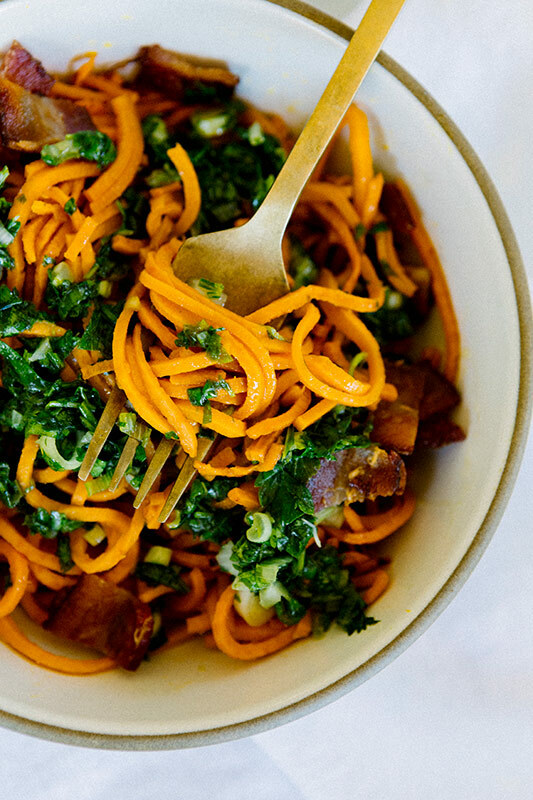 Never would have thought of sweet potatoes with chimichurri, but trust me, this was out-of-the-park delicious. May never be able to face another “plain” sweet potato again.